Empty nest syndrome for moms of autistic sons poses weighty ordeals that can affect the entire family unit. While independence is a primary goal in working with people with autism, moms can often feel lost once their children begin living independently. 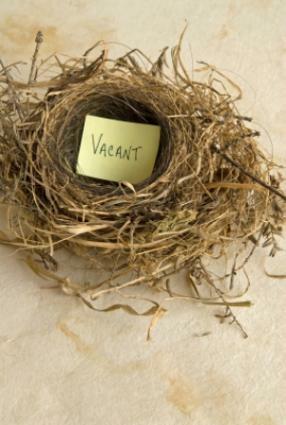 Psychology Today defines empty nest syndrome as a condition related to grief, sadness or depression that occurs after children move away from home. The primary caretaker, often the mother, is considerably affected. However, a recent study by a professor at the University of Missouri found that fathers and mothers have similar experiences after children leave home, and many are positive. When it comes to the autism spectrum, the issue becomes complex. Relationships between autistic adult sons and their mothers are unique and each situation is different. Treatments for autism are designed to help the individual function independently with the hopes of having a normal adulthood. Part of being a normal adult is moving away from home. In cases of autism, living arrangements are among the biggest concerns parents face. One of the first things many parents with newly diagnosed children ask themselves is whether their children are going to grow up to have normal adult lives. Will they marry and have children? Will they be able to work and support themselves? What happens after parents pass away? With these heavy questions in mind, it may be surprising that empty nest syndrome for moms of autistic sons is an issue. The spectrum is wide and different living arrangements are applicable to certain situations, depending on the adult's level of functioning and the parents' ability to provide care. Each situation poses different "empty nest" feelings for moms with adult sons. Independence is ideal and many individuals with high functioning autism may live independently. Many marry, have full-time careers, and have children of their own. Mothers of autistic sons may experience the same feelings that mothers of typical kids do when their sons leave home. Mothers of sons on the spectrum have the added sense of a loss of purpose in their lives as parenting a child with autism carries with it many extra demands. She may be used to frequent therapy sessions, appointments and consistent interventions not applicable to typical parents. When these additional responsibilities are lessened, she may find herself asking, "Now what?" The specialized programs are ideal for individuals on the spectrum who can live independently with guidance and support. Autistic adults may continue to live with parents, adult siblings or extended family. Local programs and services can offer support that can make going to work and social events easier. Even when this is the case, moms of autistic sons may still have an empty feeling as they adjust to their changing relationships. Stay busy. Fill extra time with hobbies, work or other activity. Many mothers of kids on the spectrum find it difficult to find time for their favorite activities. Having an adult who requires less attention frees up personal time. Maintain relationships with friends and family. Isolation is a glaring problem for many parents of kids with autism. Building strong relationships can help fill the void of having an adult child. Celebrate succeeding in raising a child on the spectrum and let go of guilt. It can be difficult to allow others to assist your child, but it is a natural part of growing up. Parenting involves helping the child to grow into a person who can be a productive, happy member of his community to his greatest capacity. This involves letting go of the reins without feeling guilty.